Growing up in New Brunswick with his mom, dad and sister, Marcel seemed to have a good life. His parents worked hard, he had a roof over his head and food to eat every day. But when school started, everything changed. Studying wasn’t easy and Marcel struggled with his grades. From the very beginning, Marcel fell behind, which started a downward spiral he had a hard time reversing. While he was still a teenager, Marcel became a father. He got a job with his father-in-law’s janitorial business, but Marcel didn’t know how to take care of his money. Once again, Marcel felt like he couldn’t keep up and turned to drugs as a way out. It didn’t take long before Marcel was homeless, sleeping in the cold, desperate for food and comfort. Isolated from his family, Marcel felt embarrassed and helpless, until an infection forced him to go to the hospital. During a class at the hospital Marcel heard about Goodwill Rescue Mission. 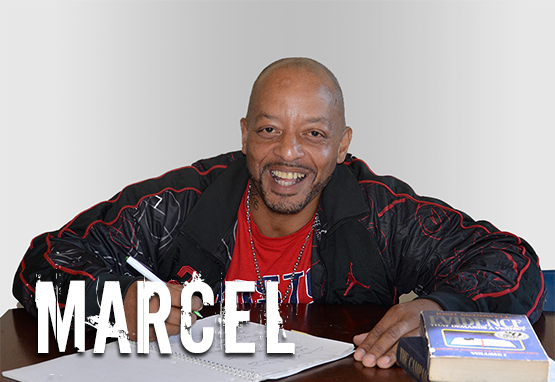 Learning the mission could provide meals and shelter while helping him get on his feet sparked a ray of hope in Marcel. So he came directly to the Mission! Free from the influence of drugs, Marcel had a clear mind and dedicated time to think about what he wants for the future. 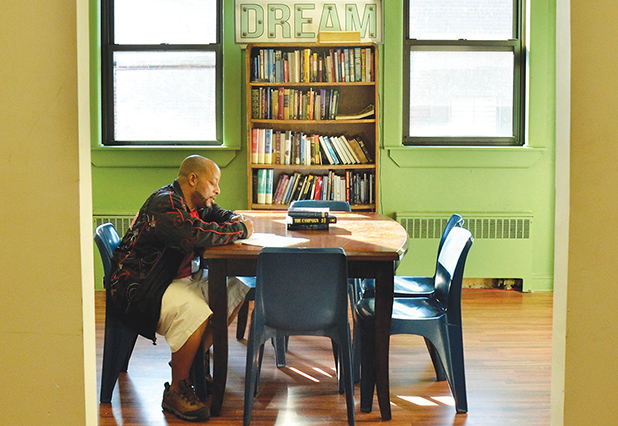 The counseling and structure at Goodwill Rescue Mission have taught Marcel how to organize his thoughts and his time. He is making small, practical goals that help him stay on the right track and spend his time productively. Most importantly, Marcel discovered a relationship with Jesus Christ. He has learned how to cast his cares on God and clings to Jeremiah 29:11, hopeful for the plans God has for him! Your support can show Christ’s love and give neighbors practical tools for their future. Give hope today to people experiencing homelessness and poverty in Newark and the New York metro area.